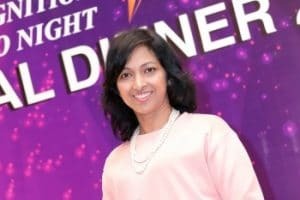 Corporate leaders should view the 30% target for women in decisionmaking roles in the corporate sector by 2020 as a diversity-based goal, and not so much a women-centric issue, said a women leader. Businesses need to shift their mindset and start taking initiatives in realising the target. Even after Malaysia announced the target in 2011, there was still a lack of demand for women to be in the top management, compared to men. 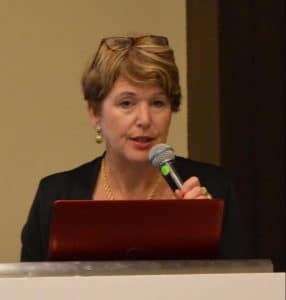 Speaking at the recent MIM-KAS Women in Leadership Forum in Kuala Lumpur, 30% Club Malaysia co-chair Anne Abraham said when Malaysia announced the target and incorporated it in the code of governance in 2012, they began talking to business owners who were still hesitant to hire women. “We found out why the leaders were not keen on hiring women and putting them on the same level as men were. They saw the target as a women-centric agenda and the uncertainty of women’s ability to have a seat on the board,” she said at the forum. It was organised by the Malaysian Institute of Management (MIM), in collaboration with Konrad- Adenauer-Stiftung (KAS), a German-based political foundation. As at the end of September 2016, women participation in decisionmaking positions in Malaysia stood at 11.8% across 800 over public listed companies (PLCs). Since then, the government had funded programmes and courses to train potential women to take up positions in the corporate sector. Between 2012 and 2014, hundreds of women were trained on governance and the requirements to be an effective director, as well as the expectations they will face if they move to the top. As a result, 200 to 300 of them were ready to take up the positions. “The supply was there but unfortunately, the demand wasn’t as high as we expected. So in 2015, we started focussing on the demand and make them understand that the whole init iat ive is not about women’s issue, but a business issue,” said Abraham. She said one of the initiatives to engage with businesses was the adoption of the UK-based 30% Club in Malaysia. “We launched the 30% Club in Malaysia, a chapter from the UK. We saw that they used the platform to engage with businesses and that was one of the drivers from their achievement,” she said. The club was launched as a campaign in the UK in 2010 with a goal of achieving a minimum of 30% of women in the country’s top 100 listed companies. Currently, the UK stands at 27%, from 12.5% when the campaign was started. In 2011, Malaysia had announced a policy to have at least 30% women in decision-making roles by 2020 and to reduce the gender imbalance. Introduced under the 10th Malaysia Plan (2011–2015), the target was also to recognise women’s contributions in PLCs. 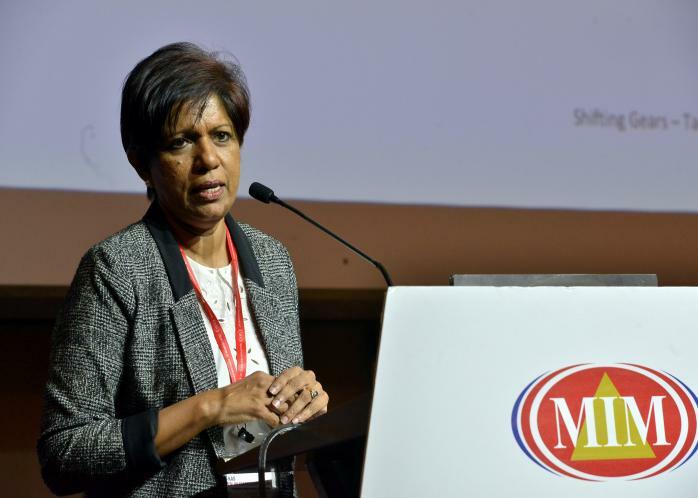 The conference gathered women leaders and entrepreneurs across Malaysia, intellectuals and professionals to discuss the issues in gender parity in the workforce. Themed “Advancing Women and Inclusion Agenda”, the MIM-KAS conference highlighted women engagement in corporate leadership and issues in increasing the number of women in the workforce. The speakers include Human Resource Development Fund COO Wan Yon Shahima Wan Othman, Business Professional Women Malaysia president Sar imah Mohamad Sabudin and Pfizer Malaysia Sdn Bhd corporate affairs, health and value director Noor Yang Azwar Kamarudin.  MIM is an independent membership-based organisation which aims to increase the competency of practicing managers through leadership training and development.